Choose a video converter right for you from the following list of video conversion software for Windows. Xilisoft Video Converter Platinum for Mac enables you to convert video to video/audio, convert audio to audio and convert between pictures and video easily and quickly with almost all popular video and audio formats especially lots of HD video formats supported. Xilisoft Video Converter Standard for Mac helps you convert between almost all SD/HD video formats, convert video/audio to audio, and convert between pictures and video, with high support for a wide range of input video and audio formats and parameter settings. 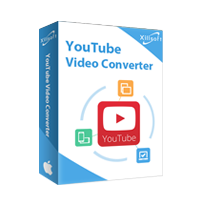 Xilisoft Online Video Converter for Mac is designed for online video fans to watch, download and convert favorite online videos instantly and fast on Mac. To facilitate the Mac users, Xilisoft Online Video Converter for Mac is equipped with a built-in web browser for you to view and download online videos easily and effortlessly. Convert any video/audio format supported in iPad on Mac, including HD video. It also has the function of extract audios from videos and converts them to the formats compatible to iPad. Xilisoft MP4 Converter for Mac is a easy to use tool to convert nearly all popular videos including MPEG, VOB, 3GP, MOV, MP4, M4V, etc. to MP4 format for iPhone, iPod, Apple TV, PSP, PS3 and AVI format for Archos, Creative Zen and iRiver PMP. And extracting MP3, AAC and M4A audios from kinds of videos is also available. Xilisoft HD Video Converter for Mac can convert popular HD video formats from one to another, convert HD to SD, convert between SD video files, as well as extract pictures or audio solely from HD video, and convert between audio files. Xilisoft Video Snapshot for Mac offers you powerful functions of capturing pictures from various videos in batches or singles, and outputting the captured pictures as JPEG, PNG, GIF, BMP pictures, GIF and Flash animation, and HTML page for collecting. As a perfect Apple TV and iPod video converter, Xilisoft Apple TV Video Converter for Mac lets you convert almost all video and audio formats to Apple TV MP4, MPEG-4, H.264/AVC video and MP3, M4A audio, and also to iPod touch video and music.